Scenic high rises and new homes are popping up all across Southwest Florida. But, fewer people are buying residential property. 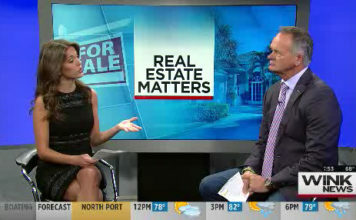 New data shows plummeting housing sales in Southwest Florida. With it being over a decade since the last recession, many assume the data points to a normal cycle in the market. But, the volatility of the stock market is likely the reason keeping buyers from making large purchases until prices become more stable, according to an expert. Florida Realtor, a news resource on the real estate market, shows lower closed sales between December 2017 to 2018. 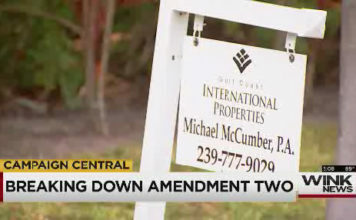 In Lee County, closed sales are down 15 percent, 14 percent in Charlotte County and 2 percent in Collier County. Lombardo said sales are still coming in, but he had to work harder to meet his revenue goals this past year. The real estate agent contributes the slow down in the real estate market to have more supply than demand. The primary factors Lombardo attributes to the decrease in demand are blue-green algae outbreaks and red tide. He believes buyers will wait it out until the environmental crisis becomes less severe. Lombardo and Shelton Weeks, the Florida Gulf Coast University chair of the Dept. of Economics, said it is too early to worry. However, Weeks said if this declining trend continues into a recession, property values could drop and taxes would follow.